The Concierge Auctions marketing team is no stranger to awards. Their cutting-edge marketing has earned them numerous accolades for stellar work. This year is shaping up to be no different. 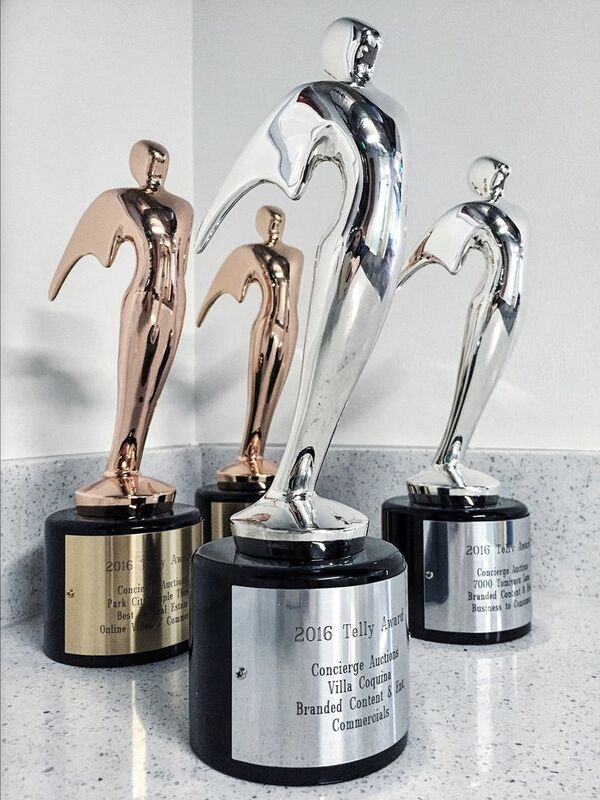 The results of the 37th Annual Telly Awards are coming in, and we’re proud to announce that Concierge Auctions has picked up four Tellys. Congratulations to the entire marketing team at Concierge Auctions!